This device is designed for airborne applications, i.e. airplane, helicopter or unmanned aerial vehicle (UAV). Up to a couple of sensors can be lodged inside the device (i.e. VNIR and SWIR) to cover a wide spectral range. 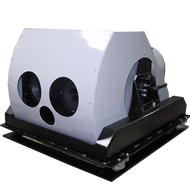 This system is used for pollutants detection, state of vegetation, and precision farming, for both civil and military applications. 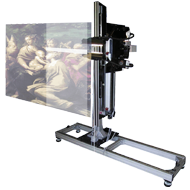 The vertical Spectral Scanner is designed for spectral acquisition of 2D vertical objects such as artworks and paintings. It acquires in one or more stripes depending on object size and spatial resolution. The main software application manages all acquisition parameters, processes the image stitching, and computes reflectance. 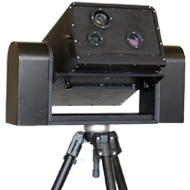 The hyperspectral system used for outdoor acquisitions consists of an imaging spectrometer placed on a frame with a motorized angular movement (tilt) and manual horizontal movement (pan). The acquired spectrum range is from 400nm to 2500nm depending on the sensor. The acquisition is syncronized with the movement and the dedicated software processes and displays data. 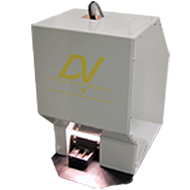 The micro spectral scanner allows the study of very small samples in the order of micrometers. Typical applications are medicine, biology, forensic science, mineralogy and chemical laboratory. 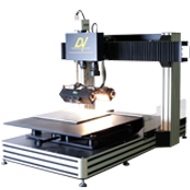 Different light sources and acquisition mode are available: direct array of lamps for 45°/0° view condition, backLight for transmittance acquisition and UV laser for fluorescence. 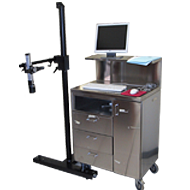 Designed to be used in doctor office, it allows on-vivo hyperspectral acquisitions on applications such as melanoma detection. The high degree of freedom in the positioning of the reading head facilitates the acquisition of the affected part also in difficult positions. Two laser pointers further facilitate the framing of the part to be analyzed.